1. Log cabin incense, so they'll associate you with the smell of a campfire. I've written an ode to this incense before, and the fact remains: it's awesome. My (female) best friend and my (male) boyfriend have it, so I can anecdotally confirm that people of at least two genders are into it. 2. A remote-controlled helicopter, or: a super cool and breezy gift that is also stealthily romantic (because The Bachelor has taught us anything, it's the helicopters are the vehicles of love). This is one of those magical gifts that seems really silly but inspires immense joy in nearly every recipient. 3. A pair of shark socks for your special ~chum~. These socks have hidden depths. Get them from Uncommon Goods for $10. 4. A teeny bike repair kit that says "I care, but not like I'm your mom or anything." Even if you're not exclusive, you probably don't want them to get hurt in a bike crash, right? This kit includes tire levers, a multitool, rubber solution, a bone wrench, a metal rasp, and tire patches. 5. A sturdy flask for their next adventure (which will hopefully include you). Throw in a bottle of their spirit of choice and you've got an instant date! Get it from Amazon for $14.04+ or from Jet for $15.50 (available in blue and red). 6. A gift box of fancy coffees to make their mornings (after) a little nicer. Plus, if you're going to stay over at their place, you want to ensure there's drinkable coffee there. Get it from Blue Bottle Coffee for $35. 7. A keychain that comes with a secret message. The message is "You're hot and food is better with you." Get it from Ban.do for $18. 8. 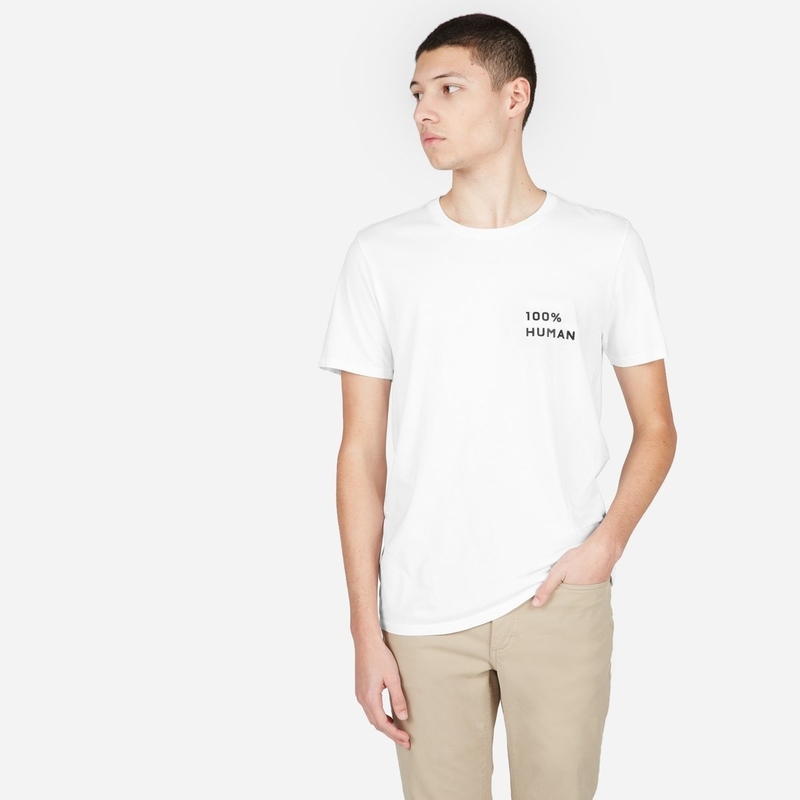 A T-shirt whose theme is "Let's get (socially) engaged." The bonus with this one is that if you guys break up soon, this gift would still have prompted a $5 donation to the ACLU. 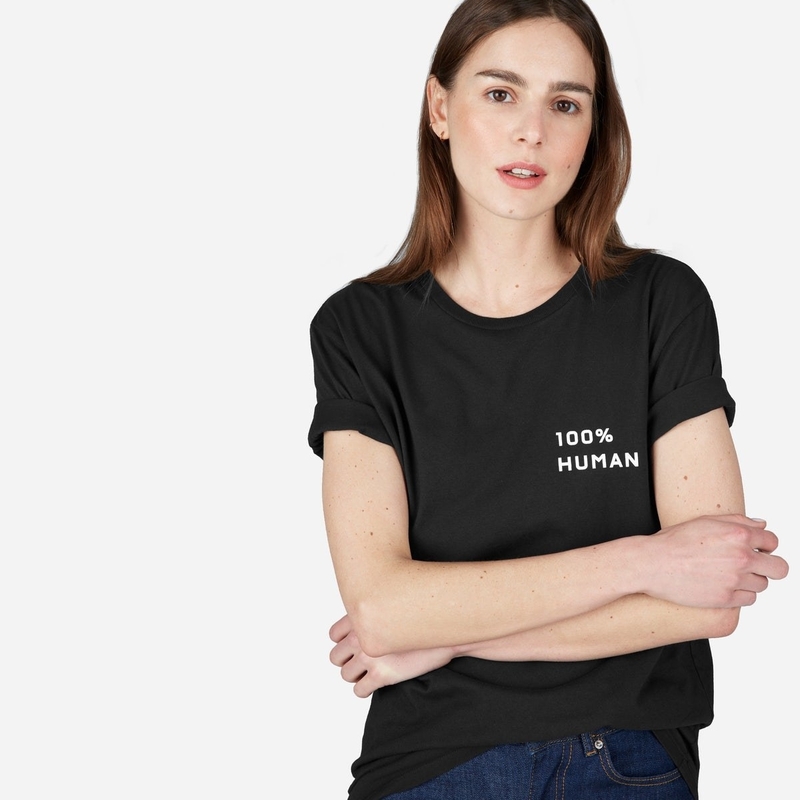 Get it from Everlane for $22 (available in unisex sizes XS–XL, in black and white). 9. A pocket chef's multitool for the date-friend whose Bumble profile included the words "foodie," "world-traveler," "prepper," or "cheese". It includes a cheese grater, a citrus zester, a garlic crusher, a peeler, a carving fork, a spoon, a corkscrew, a bottle opener, a can opener, and three kinds of knives. Nothing is more romantic than the ability to grate cheese at the drop of a hat. 10. A funny, nerdy coffee table book you'll want to pore over together. Read What If? : Scientific Answers to Absurd Hypothetical Questions (by Randall Munroe, the creator of the blog xkcd) and learn the answers to such questions as "If there was a robot apocalypse, how long would humanity last?" Sadly, when it comes to the question, "So what are we?" this book will be absolutely no help. Get it from Amazon for $13.46, Barnes & Noble for $15.74, or a local bookseller through IndieBound here. 11. A phone and tablet mount to turn their bed into the coziest home theater. Subtext: let's never leave your bed. Get it from Amazon for $18.99 (available in white and black). 12. A beanie that will remind both of you of your true priorities. But that doesn't mean you can't have a ~pizza~ their heart. Get it from Wildfang for $32. 13. A salami bouquet, which sounds far dirtier than it is. I mean, the innuendo-heavy card writes itself. Get a three-sausage bouquet from Food52 for $50. 14. A personalized toy for their pupper, since the way to anyone's heart is through their dog's. Before you say "I love you" to them, say it to their paw-lter ego. Get it from Hither Rabbit on Etsy for $15. 15. A pair of soft pants to make your one-on-one lounging time cozier. Comfy pants are the only pants this post recognizes. 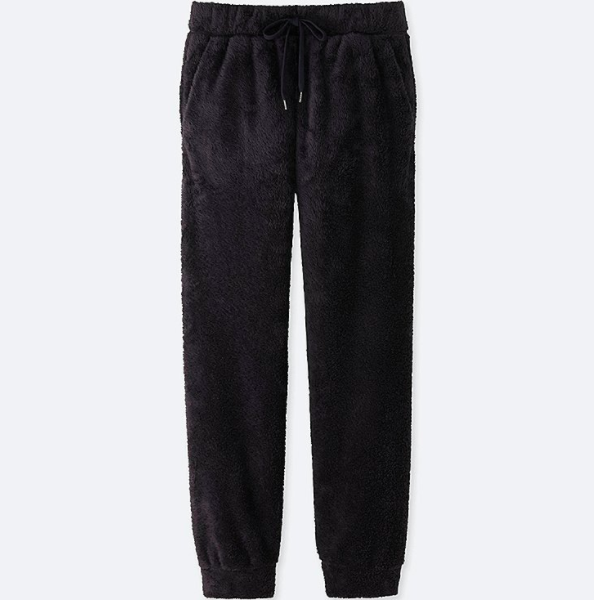 Get the fleece pants from Uniqlo for $14.90 (available in sizes S–3XL, in four colors). Get the plaid PJs from American Eagle for $30 (available in sizes XS–XL, in five patterns). 16. An assortment of succulents that are super low-maintenance (just like you, maybe!). Aloe... is it me you're looking for? 17. Tickets to an escape room, the completion of which is a crucial milestone in any new relationship these days. One of my favorite moments on The Bachelorette was when Kaitlyn Bristowe and Ben Z. went to an escape room which the producers had cruelly stocked with birds, knowing them to be Kaitlyn's ultimate fear. Also, Kaitlyn: why do you have birds tattooed on your arms if you're so afraid of them?? Find deals on escape room experiences near you on Groupon. 18. A tackle box full of assorted chocolate, in case you haven't been dating long enough to know what their favorite chocolate is. Get it from Nordstrom for $26. 19. A BuzzFeed Homesick Candle that smells like their home state, to prove that you were totally listening when they told you where they grew up. As a former Illinoisan, I can confirm that my childhood smelled like grain fields, light breezes, and a touch of vanilla and lemon. Get it from BuzzFeed's Homesick Candles shop for $29.95 (available in every state and multiple cities). 20. A fancy hand cream so you'll have something nice and soft to hold. Kiehl's transcends gender and relationship labels. Get it from Kiehl's for $15+ (available in two sizes). 21. An octopus kite, because even though it hasn't been that long, they make your heart soar and you wish you had eight arms to hold them. Kite-flying is an underrated and understated romantic activity. Get it from Amazon for $8.50+ (available in eight colors). 22. A pun-derful mug perfect for any Potterhead. If they don't like Harry Potter, it's better to find out know, before it's too late. Get it from sgrunfo on Society6 for $15.99. 23. 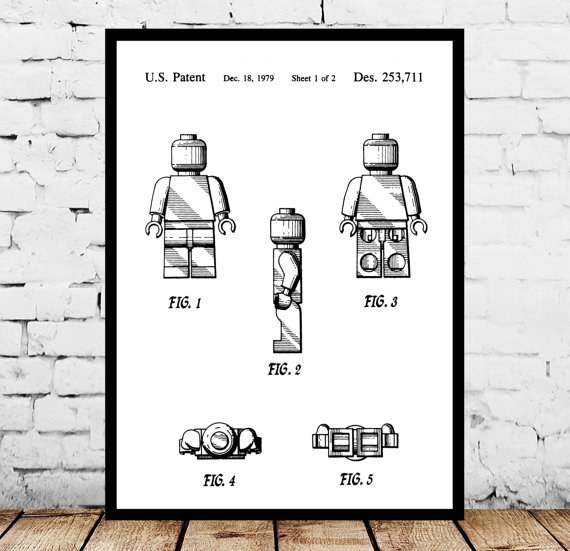 A cool patent print of something they love. 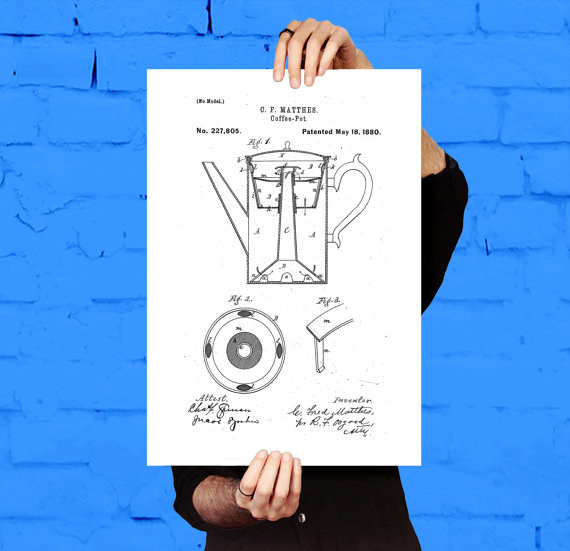 If they love LEGO or coffee, look no further! Otherwise, there are tons of other prints—including the Millennium Falcon, the Slinky Dog, Mickey Mouse, and a plunger—available. Get them from Stanley Print House on Etsy for $2.70+ (available in sizes 2.5x3.5"–24x36"). See? That was barely awkward at all!